Omar Javaid joined Vonage in July 2015 as Chief Product Officer. Mr. Javaid is responsible for the Company's overall product strategy. Mr. Javaid has more than 20 years of experience creating award-winning products in the technology industry with a focus on telecommunications, media and web product development. Prior to joining Vonage, he was Senior Vice President and General Manager of Discovery and Cloud Platforms for Rovi Corporation, a cloud-based entertainment discovery company. 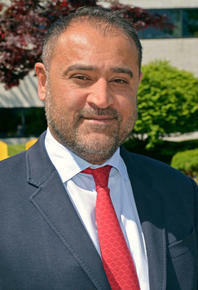 Prior to Rovi, Mr. Javaid held positions as Vice President and General Manager of Commercial Mobility, and Vice President of Product Management and Marketing for Hewlett-Packard. He has also held executive positions at Motorola Mobility and Qualcomm, Inc. An entrepreneur, Mr. Javaid founded and led two successful technology startups. He earned a B.S. in Chemistry and a B.S. in Cellular and Molecular Biology from the University of Michigan.